Leave It To Brock! 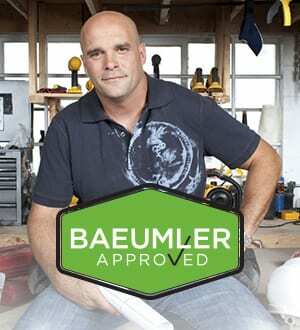 We’ve Been Baeumler Approved | Brock Doors & Windows Ltd. Brock Doors & Windows Ltd. Leave It To Brock! We’ve Been Baeumler Approved | Brock Doors & Windows Ltd. While our glowing customer testimonials are often our favoured form of reinforcement that we’re doing things right, we have to admit, the most recent approval we’ve been given has us extremely flattered and we can’t help but flaunt it! 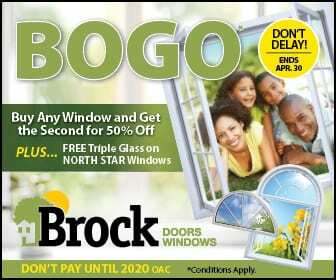 HGTV Canada’s Handyman Host, Bryan Baeumler, has recently added Brock Doors & Windows to his exclusive list of trusted contractors. So what exactly does it take to land a coveted spot in Bryan’s credible line-up? High-quality service, integrity and honesty is the trifecta of characteristics we possess as a company that makes us a top pick and we couldn’t be more proud to be recognized for the values we enforce as standards. Allowing our team and services to be associated with Bryan’s established reputation in the renovation industry is an honor. The Gemini Award winning, construction-savvy crowd-pleaser has been using his extensive trade knowledge to educate and entertain viewers across Canada and the US for over 7 years now, starring on shows like Disaster DIY, Leave it to Bryan and Canada’s Handyman Challenge. Baeumler has said it with his stamp of approval, we’re the window and door experts to count on for your renovation and installation needs!